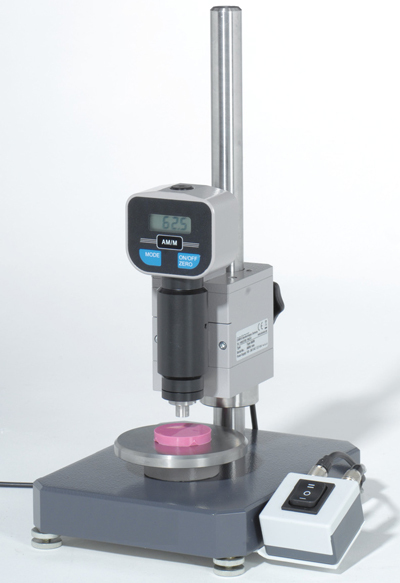 The HPE Type M/AM Digital Micro Shore Durometer is ideal for accurate, repeatable hardness readings on soft elastomers too thin or too irregular in shape for standard Durometers. 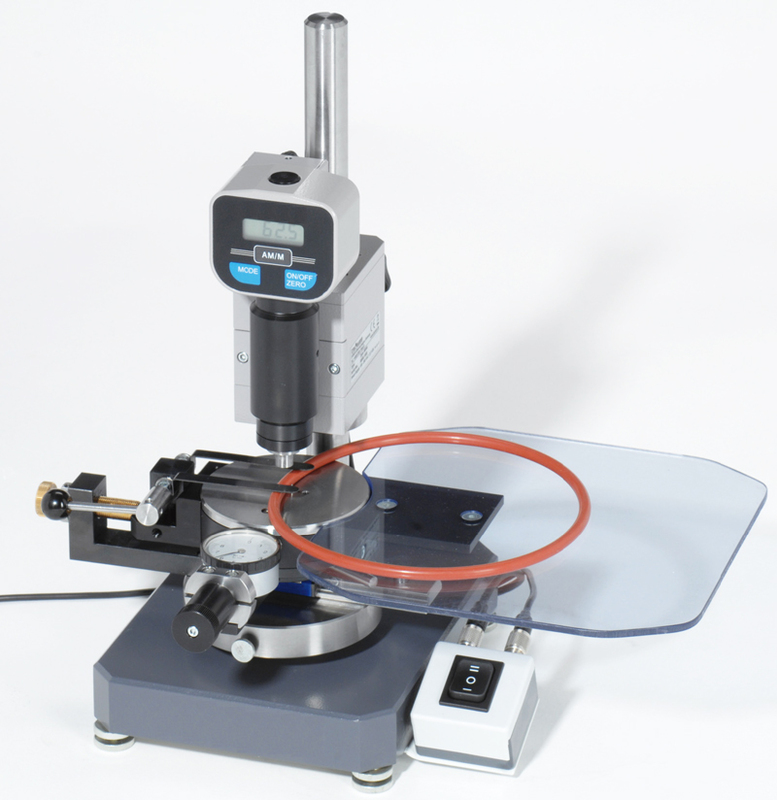 The HPE Type M/AM Durometer accurately measures specimens down to 1.25 mm. The unique design minimizes material deformation. Test method conforms to ASTM D 2240-00 (Type M) and ISO 7619 (Type AM). Qualitest’s line of digital durometers revolutionizes durometer hardness testing by utilizing state-of-the-art technology. A highly accurate force and displacement measuring system assures consistent results with accuracy and repeatability. Modular design provides for the ability to change test probes for multi scale testing. Barofix quick center device for O-rings with a cord diameter from 0,6 to 8,0 mm with clamping down device, plexiglass pick-up plate (dimensions: 200 x 200 mm) and centering help official calibration certificate, in-house Calibration Certificate. Device Type AM/M includes measuring device with loading device, serial interface cable, connecting cable, power cable, test stand, 4 x foot screws, transportation box.